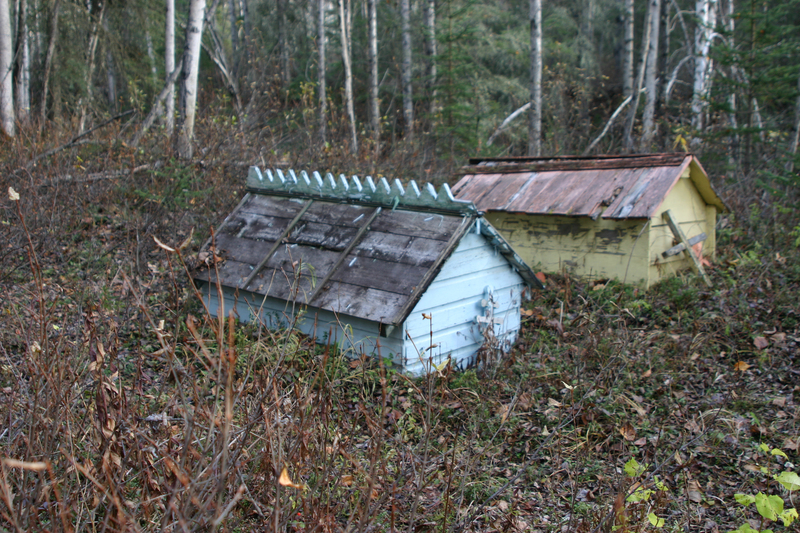 The history of the Matanuska River watershed is rich and colorful. The early Athabascan Indians inhabited the area, following the natural routes between the Matanuska River and the Copper River Basin. Traditionally, the Matanuska River territory was a center of trade for copper, sheep, and goats from the north, and salmon, beluga, and fur seals from the south. The Ahtna, and formerly the Dena’ina, Athabascan Indians of the Matanuska River area traveled extensively within the Copper River and Cook Inlet areas. The Chickaloon River was named after Chief Chiklu, the last Denai’ina chief in this area. With the discovery of gold on the Klondike River in 1896, the area was soon being probed by white men. The early trappers, traders and miners traveled throughout the area, without the aid of maps, trails or roads. This led to the Army explorations into this unmapped and unknown area. Captain Edwin Forbes Glenn (for whom the Glenn Highway is named) assigned Lt. Joseph C. Castner the job of scouting a trail to Circle City from Cook Inlet. On June 8, 1898, Castner and his men left Tyonek for their six-month journey traversing the wilderness, and arrived at Circle City on January 5, 1899. For the first 50 or so miles they did have the services of a Mr. H. H. Hicks (for whom Hicks Creek is named) who, according to himself, was the only white man to have previously journeyed up the Matanuska River. The Tanaina Indians in Tyonek and Knik and the Ahtna Indians of the Interior thought that Castner was crazy. The Indians knew the route, as they had traveled it following the herds and developing their own trading routes. But even the white men who had previously ventured inland – the traders and trappers, the early gold and coal miners – did not share their knowledge with the military expedition. 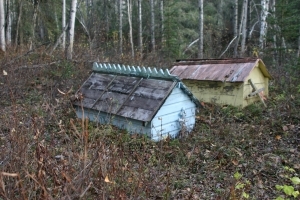 The traders and trappers feared an influx of people if a government trail was established. They, along with the Indian traders, wanted no more competition. However, the new government trail did bring people, many of the coal miners who had read the reports of coal that was to be found in the Matanuska River Valley. 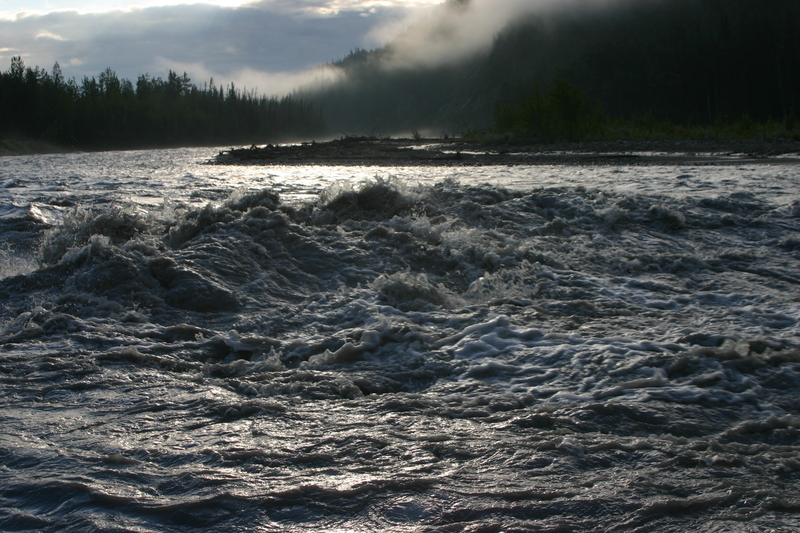 The climate of the Matanuska River watershed is greatly influenced by surrounding geographic features. 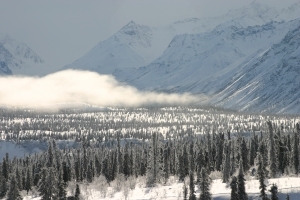 The Talkeetna Mountains lie to the north, and the Chugach Mountains lie to the south. The watershed is located within a transitional zone between coastal and interior climates. The average summer temperatures are 40 to 69 degrees Fahrenheit, and the average winter temperatures are -3 to 39 degrees Fahrenheit. The averages vary, with the more extreme temperatures being at the eastern portion of the area. The average yearly precipitation for the area is 14 inches. This includes an average of 69 inches of snowfall. The mountains generally create conditions which produce precipitation on the windward slopes, with the heaviest periods of rainfall being late summer and early fall. Strong seasonal winds are channeled out of the Matanuska River Valley canyons. These winds are most pronounced from November through March. 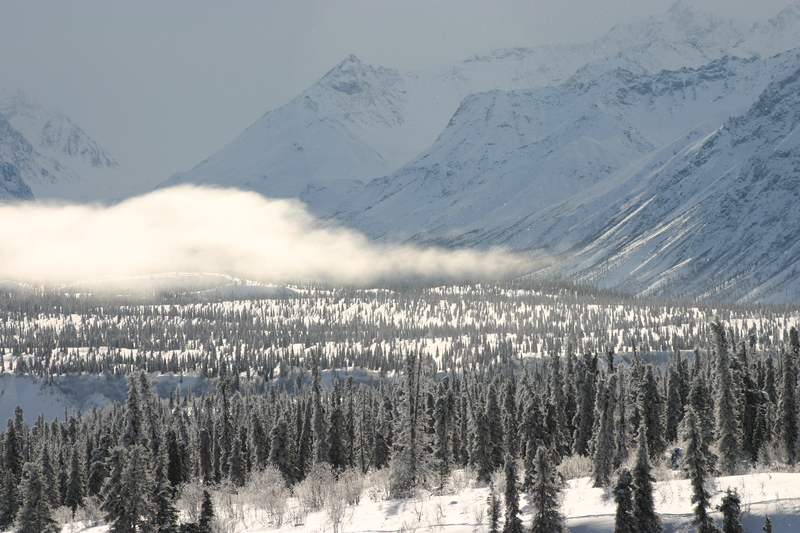 Daylight hours within the watershed area reflect Alaska’s northern latitudes. There are approximately 19 hours of daylight in mid-summer, and approximately 5 hours of daylight in mid-winter. 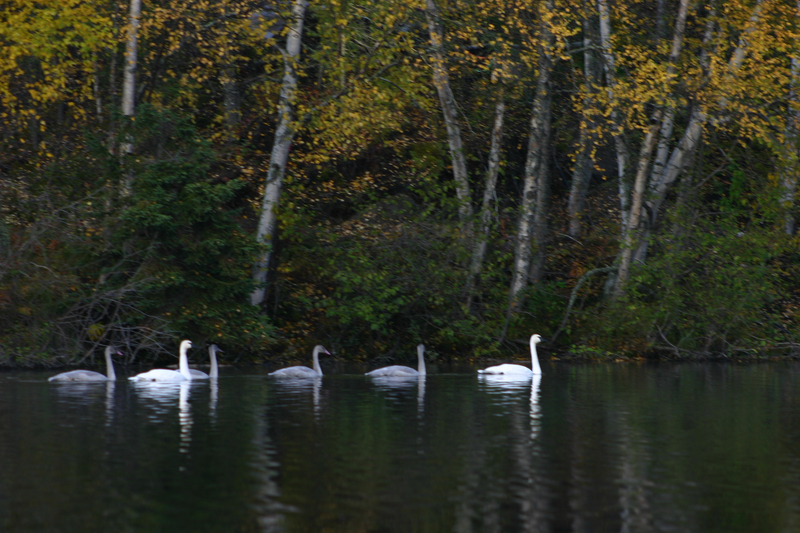 The Matanuska River watershed area has a variety of fish and wildlife. The wildlife species known to inhabit the area include moose, black bear, brown bear, Dall sheep, wolves, wolverine, mountain goat, caribou, coyote, land otter, fox, marten, beaver, mink, weasel, lynx, hare, red squirrel, porcupine, three species of ptarmigan and spruce grouse. In addition, peregrine falcon, gyrfalcon, bald and golden eagle nest, hunt and/or migrate through the area. 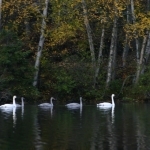 Migrant and resident fish found within the watershed include Chinook, Coho, sockeye and chum salmon, rainbow trout, Dolly Varden, arctic char, arctic grayling, lake trout, round whitefish, burbot, three-spine stickleback, nine-spine stickleback, and the longnose sucker.